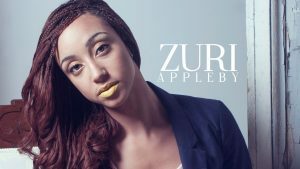 Zuri Appleby is a professional bassist, vocalist, model, and educator. The daughter of musicians and educators, Rodney and Linda Appleby, Zuri’s involvement in music began as a 5-year-old singing in the church choir, and her love of music has continued from the moment she picked up a guitar at age 7. She was active in all of the performing groups that her middle, junior, and high schools had to offer, playing the violin, French Horn, guitar and bass, and by the age of 15 she was recruited to play for various musicals, and performance groups in and around the Western New York area. 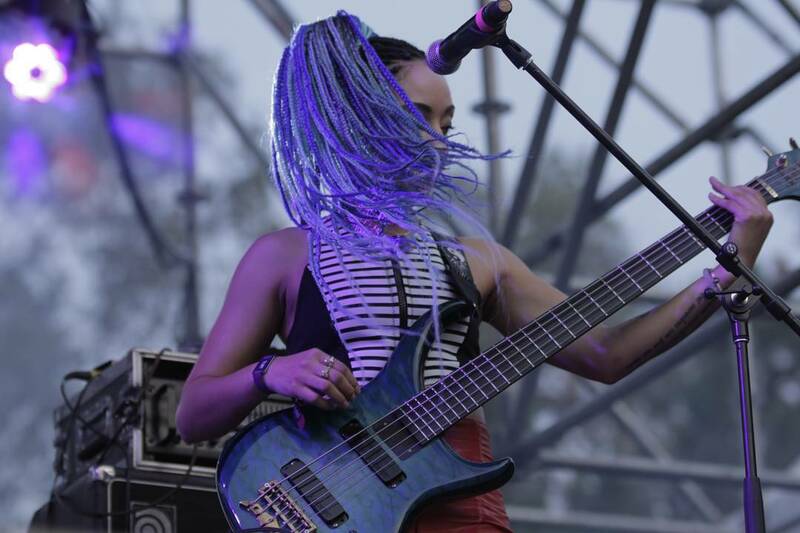 By the age of 16, Zuri was playing weekly gigs as bassist with numerous well-known musicians at copious venues, while continuing to sing every Sunday in her church choir. That same year, Zuri’s advanced talents in music and athletics garnered the attention of the United States Marine Corps, she was one of a very elite group of young adults asked to audition for the prestigious USMC Band. She was enthusiastically accepted and just 3 days after her graduation from the Buffalo Academy for Visual and Performing Arts, she was escorted to begin her service in the Marine Corps as the first and ONLY female bassist of color to ever play in the USMC Band. After graduation from boot camp in South Carolina, Zuri went on to complete the Marine Combat Training Course in North Carolina, and graduated from the Little Creek Armed Forces School of Music in Norfolk, Virginia. She was then stationed in New Orleans where she served active duty for 4 years. She toured the country with the USMC Band as an electric bassist and percussionist, providing music to thousands. Upon her honorable discharge as a Sergeant in 2009, Zuri pursued higher education at Buffalo State College, diligently and consistently following her dream to become a musician in high demand. Zuri’s versatility enabled her to open for national recording artists such as PJ Morton, Sisqo, Anthony Hamilton, Orgone, Alan Evans Trio, Grammy Award Winning Snarky Puppy, Bernard Purdie, and Avery Sunshine. She has also played with national recording artists such as Ginuwine, Silk, Grammy Nominated Artist Maysa, Soulive, Christopher Williams, Marvin Sapp, Martha Munizzi, and Steve Miller’s own keyboardist, and 3-Time Grammy Nominated artist, Joseph Wooten. 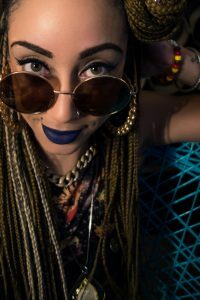 Zuri has also continued to be involved with the rich music scene in her hometown of Buffalo, New York, including playing with her own original group Forealists, Verse, Breakerbox, Critts Juke Joint, ReBop, Vitamin D, Michael King and Dan Ross Band, Drea D’Nur, and Vin DeRosa, to name a few. Zuri was also weekly accompanist for Ephesus Ministries Church with Walter Kemp, Musical Director and co-founder of Buffalo’s award-winning band, Gruvology, from 2009-2015, she was the featured bassist for Miller and the Other Sinners, who opened for The Steve Miller Band in August of 2015 at Artpark, and was bassist for a special Stevie Wonder Tribute Concert with the prestigious Buffalo Philharmonic. 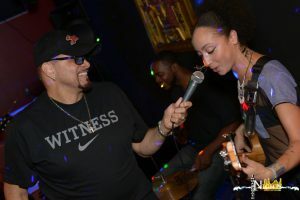 Sinbad requested Zuri to be the musical director and bassist for recent shows in Buffalo and Rochester and was also flown to Nashville in 2015 to be part of the band in a video produced by Mutt Lange for up-and-coming artist, Ashley Clark. Zuri also has a passion for education and had taught for Young Audiences of Western New York, where she worked with children in junior and senior high schools. In 2016, Zuri was chosen to lead an Artist in Residency Program for the Buffalo Public Schools, and led a Music Symposium for Administrators of Western New York at Kelinhan’s Music Hall. Zuri was also asked to speak at “Mathematics, Physics, and the Future of Multimedia and Music” at The New School in New York City, and gave a talk entitled “Duty of the True Me” at the TEDxYouth@Buffalo event. Whenever time allows, she continues to share her skills and knowledge of music through workshops, seminars, and private instruction for bass and vocals. Zuri’s natural beauty, grace, and genuine spirit of love and life has also presented her with opportunities in the area of modeling. She has walked the runways for Mass Appeal of Buffalo numerous times, as well as for Runway 3.0, 4.0, and 5.0, and has modeled for many brands, stores, and photographers in Buffalo, Nashville, and Los Angeles: Banana Republic, New Era, Fashion Maniac, Second Chic, Daft Minerva, Katie Gariepy, Sai One, Waste Kase, Sickamatci Royal-T Krew, Ellicott Lofts, Ms. Eye Candy and Fashions. Zuri was awarded Best Jazz Bassist of 2016 in the City of Buffalo, was honored with the Changemakers 30 Under 30 Award, and was runner up for the highly coveted Sparks Award presented by the Arts Services Initiative of Western New York. 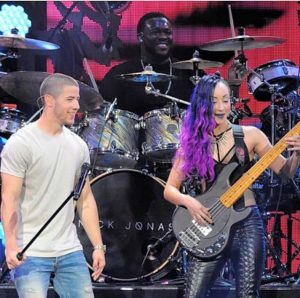 Zuri’s first high-profile music gig, came in the Fall of 2015, when she was sought out to play bass for Nick Jonas. 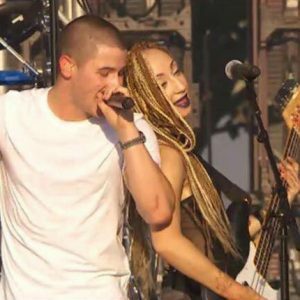 After quickly being hired, Zuri toured with Nick’s band until the Spring of 2016. During that time shows included numerous national and international headlining dates and opening for stars like Justin Bieber, The Weekend, DNC, DeLaSol, and Demi Lovato. Special events included The Lifebeat MTV VMA’S Pre-Concert Show in Holywood, iHeart Radio Music Festival in Vegas, The Jingle Ball Tour in numerous cities, The BBC Radio One Teen Awards at Wembley Stadium in London, and a widely-acclaimed featured performance at the 2015 American Music Awards. There were also several promotional television appearances such as The Ellen Show, Late Night with Seth Meyers, and the taping of the Victoria Secret Swimsuit Special on St. Barth’s Island that aired on CBS in March of 2016. Since completing that tour, Zuri has relocated to Los Angeles to pursue continued opportunities in the music industry. 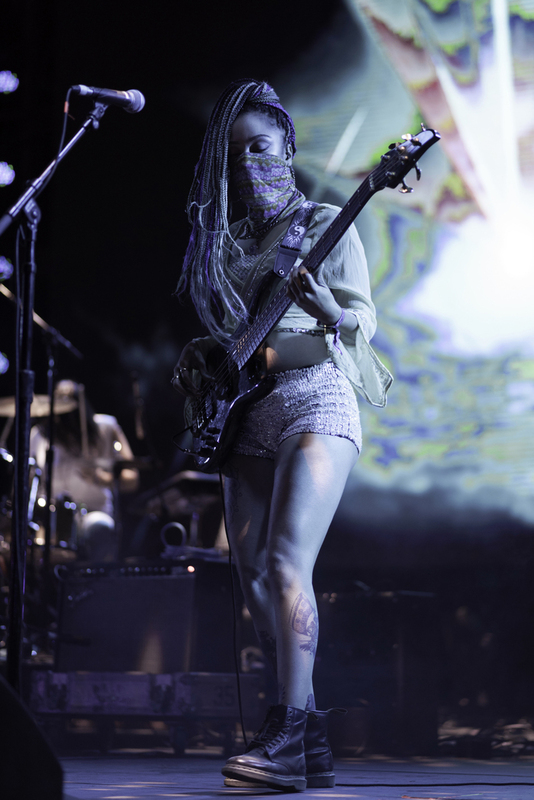 She currently plays with Dave Schulz and The Funk Dolls, has played numerous recent festivals with NoMBe, such as Bravo Festival in Mexico, Lightning in a Bottle, Electric Forest, and Northern Nights Festival. Zuri was asked to play bass at the 30th Annual Long Beach Jazz Festival with JAZZ IN P!NK, an all-star female jazz ensemble. She will also return to Buffalo for two shows with A2Z, her collaboration with former Nick Jonas’ guitarist, Arianna Powell, at the week-long CMC Jazz Festival.